PROBLEM: The company’s equity ownership “documentation” consists of vague memories and long-lost text messages. CONSEQUENCE: If it wants to obtain funding or an exit for the founder, the company has to slow down and pony-up legal fees to draft proper documentation. There may be a handful of former employees or high-net-worth connections who think they have rights in the company’s equity. Maybe they simply remember an off-the-cuff agreement for “stock options” at happy hour a couple years ago, and maybe the company never actually implemented a stock option plan, but that informal agreement is all it takes for someone to be a potential threat. Equity ownership can be expensive and time-consuming to retrospectively document. 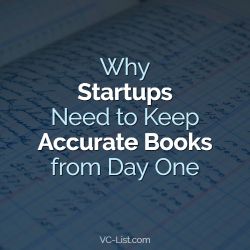 Proper documentation is integral to financing rounds and exits, so nothing will close until the issue is handled. For a tech startup in sight of investor cash, the sooner the equity ownership cleanup starts, the better. PROBLEM: An investor is claiming a bigger piece of the pie than the founder agreed to give. CONSEQUENCE: The founder either lawyers-up to fight the claims, or ends up siphoning off his or her own hard-earned value to appease the investor. Unbeknownst to some bright-eyed founders, there is a lurking investor ready to manipulate the company into funneling more funds his or her way. These investors are typically conflict-instigating and stubborn. In the worst cases, they are ready and willing to take the company to court. The founder is looking to close the deal and get on with life, so these investors use that to pressure the founder into diverting more money out of the waterfall. Manipulative investors have all sorts of explanations for deserving extra cash, but essentially they earn it by successfully playing “chicken” with the founder as the closing date impends. PROBLEM: Ideas are flowing into the company, but no one is keeping track of it. CONSEQUENCE: It’s uncertain who legally owns the company’s ideas. The framework of a tech company is built on its intellectual property, but not all founders think of it that way. Many aspects of company creation are protectable under copyright, trademark, or trade secret laws, but the protection is not necessarily automatic. It is particularly important for tech companies to track down everyone who touched software code and get them to assign their rights in the intellectual property back to the company. Tech startups should always have employees sign these agreements—called Proprietary Information and Inventions Assignments (PIIAs)—to maintain the company’s ownership in its intellectual property. The last thing a tech startup needs is a software engineer with the ability to hold the company hostage in exchange for licensing fees or threats of an infringement suit. The company should also evaluate what kind of licenses any of its third party code is subject to. It is particularly problematic to find the company subject to the free-lovin’ communism of certain open source licenses, which essentially release any of the company’s improvements to the code into the public’s outstretched hands. PROBLEM: The company collects legally-protected personal information from people in the U.S. BIGGER PROBLEM: The company collects it from Canadians or Europeans. CONSEQUENCE: The company risks exposure to governmental penalties and private litigation for failure to comply with applicable privacy and data security laws. In the U.S., people’s names, birthdates, contact information, and especially sensitive information like medical records or social security numbers, should be treated with care. Additionally, in Canada and Europe, even technical data like mobile device identifiers can be “personal information”. There is also concern around identifying people with religious beliefs, ethnicity, or other traits—a concern not yet pronounced in the U.S. PROBLEM: The company has one or more of the problems above. CONSEQUENCE: The company should brace itself for increased legal fees and, in the worst case, the nails-on-a-chalkboard pain of litigation. Ignoring problems like these is a great way to blow up a company from the inside out. Each problem represents a potential landmine for the company to step on and end up in court, and actual courtroom battles are neither as efficient nor as well-lit as they are on TV. 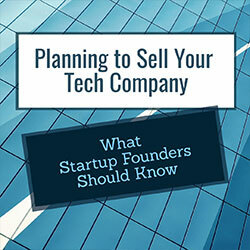 For the founder and employees, running a tech startup is strenuous enough. So getting pulled into day-long depositions, sorting through myriad emails, and enduring computer forensic examinations—as a few examples—can really put a strain on their daily lives. As a social matter, the relationship between the company and the opposing party was probably strained before the lawsuit, and the process of resolving the dispute will only worsen it. At best, it is coldly cordial between the parties; at worst, it looks like an episode of Jerry Springer. Even with the world’s best lawyers, nothing can fully protect the company from an emotionally-driven jury or the fact that the judge is a sorority sister of the opposing counsel. The human element is difficult to predict. Unfortunately, justice isn’t always served, and it will be expensive either way. In sum, it’s worth digging for legal landmines early on. 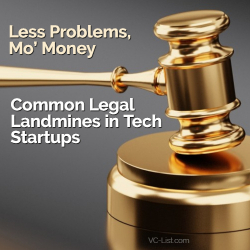 Less landmines means less legal fees and opportunity cost, which means more value for investors. Experienced technology executives who have not previously sold a business should consider certain fundamentals prior to undertaking a sale. While every sale is unique, certain considerations are common across transactions. Consider your goals for the transaction so that you can prioritize when faced with tradeoffs. Goals that might impact your sales price or the form of transaction include the period that you desire to remain with the company following its sale and any protections that you seek for the continued employment of your employees. Your goals may also impact the bidders best suited to acquire your company. If you desire to grow the company through acquisitions following the sale, you may be well served to court private equity or other financial buyers. If you want access to greater non-financial resources such as proprietary technology, then acquisition by a strategic buyer may be a better fit. Also think about the nature of the consideration that you will receive. Do you want to retain an interest in the company following its sale? How much consideration are you willing to take in future years contingent upon the future performance of the company? Goals may change throughout the course of a transaction as you are forced to choose between actual alternatives, but beginning the process with articulated priorities will help you reach a desirable outcome more efficiently. The financial, legal and technical elements of a company to be sold are typically evaluated by potential bidders and further evaluated by the prevailing bidder prior to signing a definitive acquisition agreement. 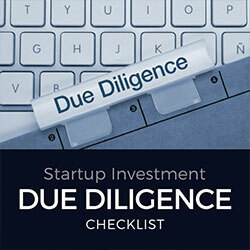 You should expect this due diligence to be a time-consuming and exacting process, but its burdens can be mitigated. Prior to initiating a bidding process, consider customary due diligence requests and prepare your responsive disclosures and gather your documents. Utilizing a checklist prepared by your counsel and financial advisor or accountant, you can populate an electronic datasite with documents and other disclosures organized according to checklist categories and provide access to all bidders once the bidding process begins. This ensures bidders uniform access to relevant information and reduces the time that you would otherwise spend responding to similar but non-identical and separately organized lists. You should expect to respond to supplemental requests prepared by individual bidders, but these are usually substantially less time-consuming than responding to similar but separately organized initial requests. Before the datasite is used by potential bidders, it should be used by you and your advisors to evaluate important matters. It is advisable to develop an understanding of key diligence items prior to initiating a sale process so that any necessary corrective actions can be taken in advance. Key due diligence items include the intellectual property rights of your company and any contractual provisions, such as prohibitions on assignment of contract, that may affect the structural alternatives for the contemplated sale. You can also anticipate factual disclosures that will be required in a disclosure schedule to the definitive purchase agreement. As with legal advisors, engaging a financial advisor entails costs. However, a quality financial advisor provides substantial benefits. A financial advisor will provide you with a range of valuations for your company utilizing a disciplined process that is likely to be mirrored by potential bidders. A financial advisor can utilize its network and a structured bidding process to create a competition that enables sellers to discover the market value of their business. A robust process may also enable you to obtain better non-price terms, either through requiring interested bidders to provide comments to a master purchase agreement or by negotiating key non-price terms into a letter of intent. A financial advisor should also facilitate the due diligence process. Often, they maintain the datasite utilized for due diligence. Finally, a financial advisor can communicate transaction-specific points, providing you with a buffer from contentious points in a negotiation. The meaning of “technology” business has expanded over time to include many different business models. Buyers may distinguish between, and be willing to pay different multiples for, revenue from services and software as well as revenue that is considered recurring, such as software-as-a-service subscription fees, hosting fees and maintenance services income, rather than non-recurring, such as one-time license and implementation fees and hardware sales. A distinct but related issue is the timing of recognition of income under GAAP. All of these issues can affect price, and you should be prepared to discuss the nature of company revenues during due diligence and to understand the effect of any accounting standard applied to the calculation of any variable consideration such as a working capital adjustment or an earnout. In the definitive purchase agreement, you will be expected to make extensive representations and warranties as to the nature of the company’s intellectual property. Fitting the representations to the company’s facts in the final agreement requires that all parties, and their counsel, understand the company’s intellectual property. Sellers should not represent that they own any software code that was developed on a work-made-for-hire basis, is licensed from a third party or is open source. Making these distinctions, and sometimes separating code from data, during due diligence may make it easier to reach agreement on the required representations. Negotiating the Letter of Intent. In most cases, a letter of intent outlines key transaction terms, but it also provides the potential buyer with a period of exclusivity during which you and your representatives are prohibited from seeking alternative transactions. While this exclusivity serves legitimate purposes, it changes the negotiating leverage of the parties. Consideration should be given to the duration of the exclusivity period and whether certain hurdles, such as the delivery of a draft definitive agreement, must be met to continue exclusivity beyond some initial period. The impact of this leverage shift also may be muted by negotiation of key non-price terms in the letter of intent. While proper planning is no guarantee of success, it can help you maximize the benefits of a sale and reduce the surprises created by the sales process.